Corporations, medical and professional services, B2B and tech companies all share a commonality that is sometimes overlooked when designing marketing strategies for business growth. Despite the nature of such industries and professions that set you apart from the masses online, whether you deal solely with other businesses or individuals who require your services, you are ultimately appealing to the human element to garner sales. For this reason, delighting customers is not just a stage in the buyer’s journey, it is a critical component to business growth and customer retention. Before buyers, patients or clients will make contact with a business such as yours to buy a product or contract services, more than 70% will have already done their research and will be near the end of the buyer’s journey. If your business is not connecting with these people early in their research phase, you are missing out on significant opportunity for business growth and customer retention. In the attract phase, you want to show that your business understands the problems your visitors face without pushing for a hard sell. For example, a doctor may provide information on symptoms, relating them to a condition or treatment that can alleviate their problem. A tech company might share information addressing a need for a better way to run an online store. Information that addresses visitors pain points provides relevance that attracts visitors to your site. During the consideration stage, the best type of content is product comparisons, data and evaluations which entice your visitors to consider your product or service as their solution. The decision-making stage helps the visitor get closer to a sale through offers such as demos, consultations or request-a-quote calls to action. After the conversion is complete, delighting customers takes the shape of value-added information and education. Using our medical example again, it may be sharing information regarding new treatments, diets, advice or education for associated illnesses or conditions your current patients face. 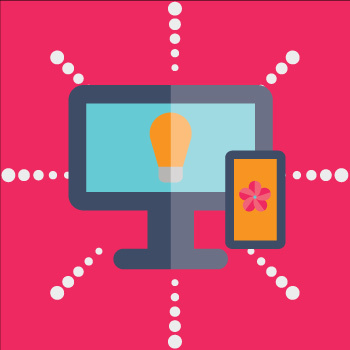 A tech company might offer training videos or webinars to help customers leverage their product or service and maximize efficiencies or revenues. Delighting customers throughout the buyer’s journey may seem like great effort that is not necessary to inspire business growth. The fact is, today’s buyers have mandated that businesses and professionals connect with them on a more human level. Inbound marketing was developed based on today’s customers and their buying habits in the digital world. Statistics are proving time and again that businesses who focus on delighting their customers throughout the buyer’s journey maximize their marketing ROI and improve customer retention. Let’s talk about how delight and an inbound marketing strategy can help your business realize its maximum growth potential. Contact your expert partners of Synerge-marketing today. 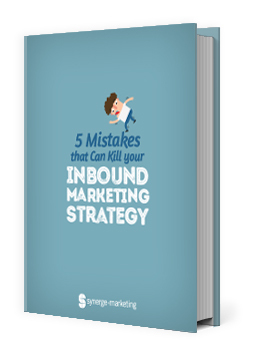 Not yet getting the results you expect from your Inbound marketing campaign? Get a checklist of essentials to ensure a positive inbound marketing ROI. Is Your Website Meeting the Demands of the B2B Buyer?